It’s a scientific fact that dogs looks like their owners, so maybe it’s not such a stretch to think that some pooches might take after their human parents when it comes to holding certain standards — like demanding a plush bed of their own instead of whatever room is left over for them on the sofa. And with a recent survey concluding that as many as 52% of people travel with their pets, the hospitality industry has definitely upped its game when it comes to offering pet-friendly amenities, whether in the air or on the ground. If you’re planning a trip with a four-legged pal in the near future, you should know about some of the amazing perks available to them. Because they deserved to be pampered, too. Who wants regular water when you could be sipping on bacon-infused H2O? Certainly not your dog. At The ART, a creatively-minded hotel in downtown Denver, pups are treated to the meaty-tasting refreshment — just don’t ask them to share. 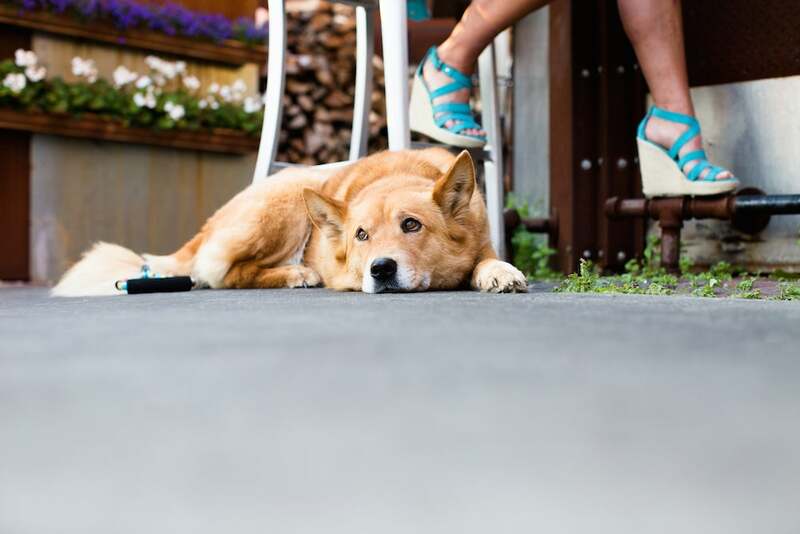 Even some of the pet-friendliest hotels in the world put a lot of restrictions on where your pooch can and cannot explore. If you’re planning to spend some time lounging by the pool on the rooftop of The London West Hollywood, feel free to bring your little ball of fluff with you. And make sure to sniff hello to Winston and Churchill, the hotel’s resident pups, who love hanging out poolside, too. Image courtesy of The London West Hollywood Hotel. Going one step beyond the poolside VIP treatment, Las Ventanas al Paraíso — a Rosewood Resort in Los Cabos, Mexico — throws some shade at its canine guests with perfectly sized (and wonderfully portable) pet cabanas, which can be set up in your room, poolside or on the beach in order to offer your little guy a sweet retreat of his own, and from the sun. Image courtesy of Las Ventanas al Paraíso. Taking a vacation is all about relaxing, and there are few better ways to kickstart your R&R than with the perfect massage. At The Betsy South Beach, situated in the perfect beachfront spot on Miami Beach’s famed Ocean Drive, you and Fido can opt for a Pampering with Pooch spa treatment at the hotel’s outdoor Wellness Garden & Spa. While you give your tired muscles over to one of the spa’s talented massage therapists, your pup can enjoy a gentle massage of his or her own, plus plenty of fresh water and healthy snacks. Massages are also on the menu of pet amenities at the Peninsula Beverly Hills, though they’re done in-room for extra privacy. Visiting dogs are also treated to complimentary walks, courtesy of the Peninsula Pages, plus personalized towels, comfy doggie beds and an in-room dining menu for dogs’ eyes only. Image courtesy of The Betsy South Beach. Not to be outdone, the Viceroy L’Ermitage Beverly Hills offers a range of spa treatments for its canine guests, courtesy of Healthyspot. Among the services: baths with massage treatments, brush and hand-dry with blow-outs, moisturizing paw rubs and blueberry facials. Four-legged visitors to Rome Cavalieri can take a cue from Contessa, the elegant Daschund who makes her home at the five-star Italian hotel. At the same time you book a treatment at the hotel’s Grand Spa, the hotel can arrange to have your little guy or gal transported to a nearby dog spa, La Domus Aventina, which specializes in doggie comb-outs. Image courtesy of Rome Cavalieri. You know your pup is the Gisele Bündchen of canines, and it’s about time the rest of the world found out. At The Iron Horse Hotel, a boutique property in Milwaukee, photo shoots are one of the fun perks the hotel offers its four-legged guests, where they can sit down — and possibly roll over — with a professional photographer for a photo shoot in your room or in the hotel lobby. The staff are also happy to arrange other services for you, including pet sitting, dog grooming and massages, with nearby vendors. All dogs are treated to an oversized pillow, food and water bowls, to-go water bowls, toys, dog treats and a room service menu that includes such delicacies as a Big Dog Burger (two patties served with a Milkbone treat) and the Chicken Chihuahua (grilled chicken breast). Image courtesy of The Iron Horse Hotel. Image courtesy of Virgin Hotels Chicago. Dog parks are a common sight in towns and cities around the world, but onsite at a hotel? Not so much. 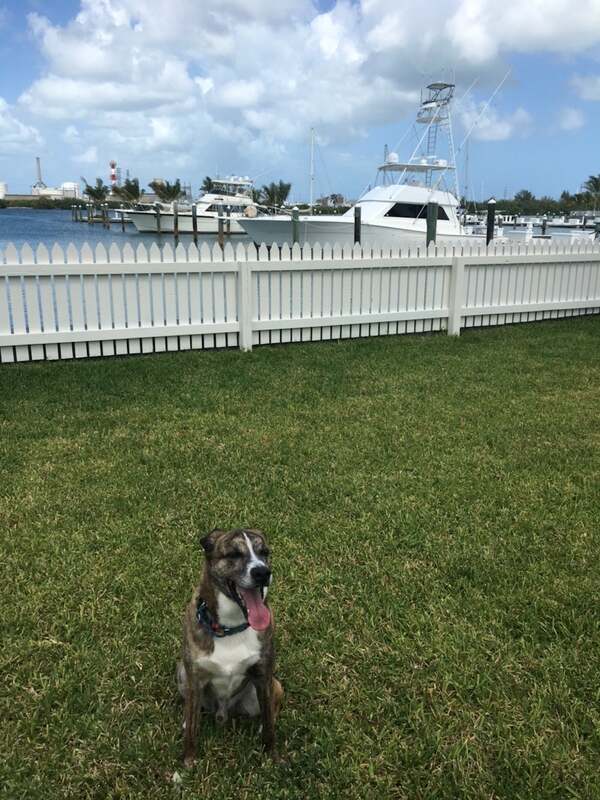 At the Oceans Edge Key West Hotel & Marina in Key West, a portion of the hotel’s 20-plus acres of oceanfront property has been turned into a dedicated dog park, which offers guests — both human and otherwise — the chance to mingle with fellow pet lovers while visiting the Sunshine State. Image courtesy of Oceans Edge Key West Hotel & Marina. 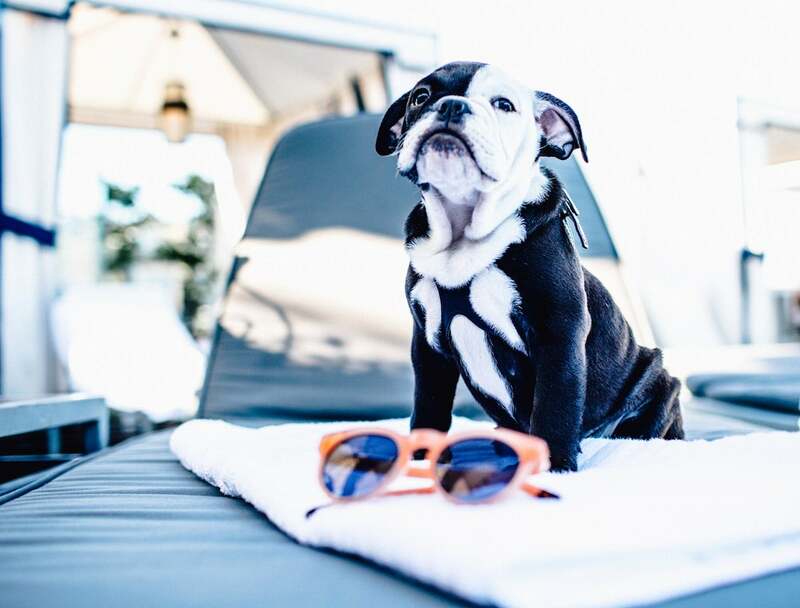 Anyone who makes a habit of traveling with their pet(s) knows that the Kimpton chain loves every and all jet-setting animal that comes their way. 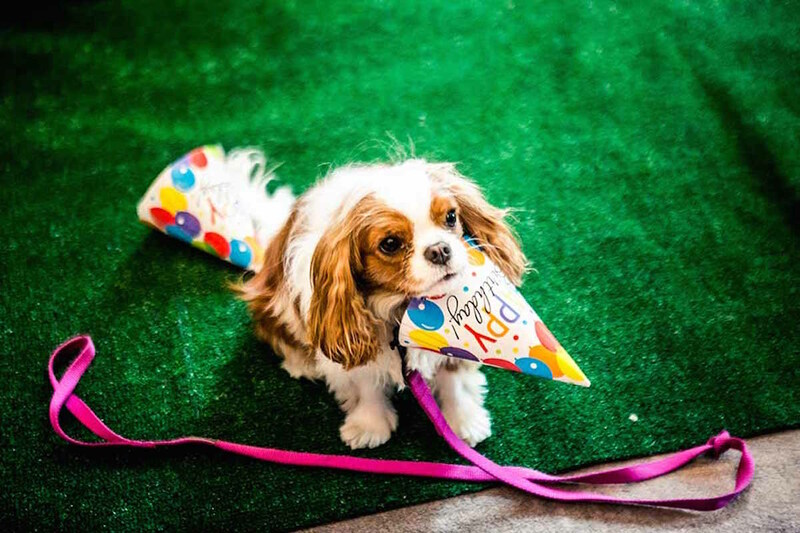 In Oregon, the Kimpton Hotel Monaco Portland hosts a nightly wine hour — pets are welcome — where a pet psychic often drops by to meet some of the property’s fuzzier guests and tries to get a read on any kind of stress or trouble they might be having. 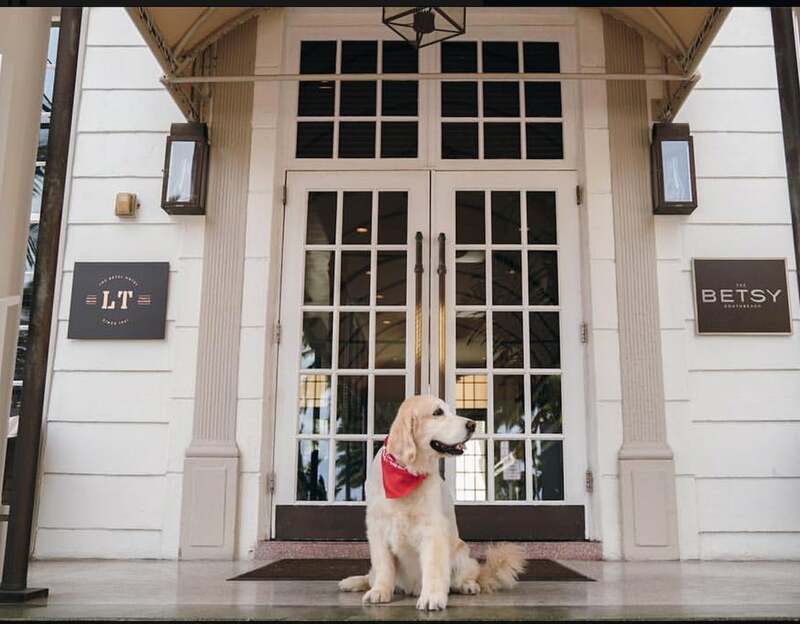 Pets will also get the chance to meet Dakota, a Golden Retriever who serves as the hotel’s Director of Pet Relations. The doggie massages at the Topnotch Resort in Stowe, Vermont, are not your average treatment: You can choose from the Rover Reiki massage, the pet version of Reiki — a light and gentle ancient Japanese form of energy work — or traditional muscle therapy massage, either one of which is done in your guest room for maximum comfort.